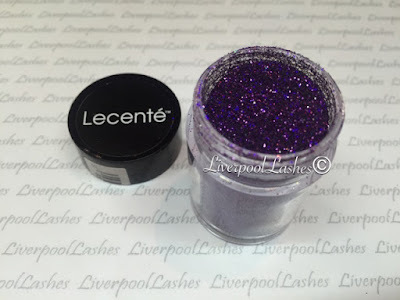 You have no idea how long I've waited to talk to you about the new Lecente Fireworks Collection. I have had them with me since the middle of August, it's killed me to not be able to show or talk about these bad boys because they're seriously stunning. I see that nail techs are crying out for more holographics so this collection is entirely that! I did make a video for Lecente showing you all of the colours - click here to watch it and I'll have it linked at the end of this post too. 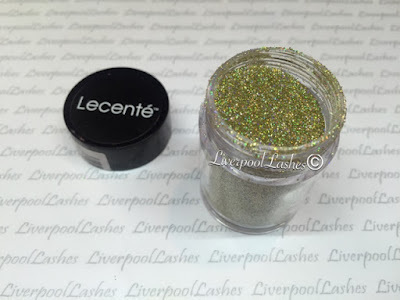 Each glitter is extremely fine, if you're familiar with CND Additive in Dream Lily, it's the same size as that. I'll just go over each colour with you but you really would be best to see the video so that you can see how it catches the light as it moves! First up is Pop which is a beautiful purple with quite a lot of blue holographic flecks to it. This shade is probably one of my favourites from this collection and a colour that will go down a storm through the autumn and winter in particular. Next up is Firefly which is a shade that I instantly knew will possibly be most peoples favourite as it's along the lines of Dream Lily. Its a light pink/ dusty rose colour with all of those holographic tones in it. 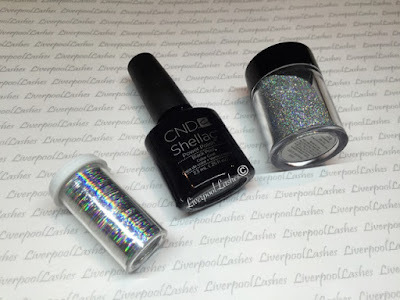 The next glitter is Spark which is a super fine silver and the one I'm currently rocking with CND Shellac in Black Pool. I adore silver, I just find it compliments anything you put it with so Spark will be a staple in my stash. Next up is Crackle (you have to love the names eh?) which is a luxurious gold tone with all of the amazing other shades in that you would expect from a holographic glitter. This is Flame which is a mind blowing red. When I looked at it in the tub I thought it was a gold and red mix, I would imagine there is gold in it but when I opened it up it's very much a red holographic but more red tones and not multi tones like the others which I love. 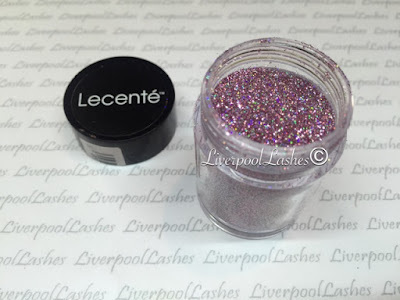 Last but not least, this is Burst which is a bright pink with the multi tones of a holographic glitter. I always think the bright pinks are a winner with many clients as it's a mainstream colour but sparkly - who could resist that? 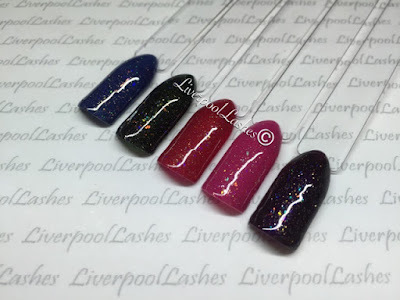 So that's the full Firework collection which are being launched at Olympia Beauty on the 4th October and should be available for sale online on the 6th October that via Sweet Squared or Creative Academy+ Manchester if you're in the UK and lecente.com if you're overseas. 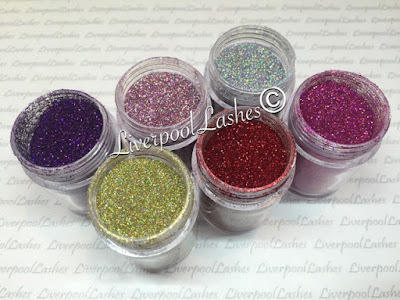 There are more glitters and two new foils being launched also which you shall see very soon! To say this week was a huge deal to me, is putting it lightly. Last week I found out I was 2lbs away from four stone lost. 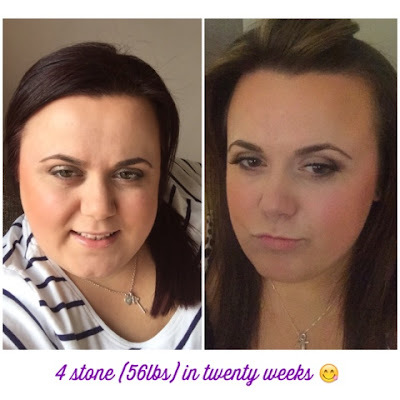 I could never imagine getting past the three stone stage as this is where I gave up last time so four stone blows my mind. Honestly I just can't get my head around what's happening to me, it just doesn't feel real. Unfortunately as I knew I was completely capable of losing the 2lb I needed, I started putting a lot of pressure on myself and that's not good. I had ordered this necklace to mark my four stone loss. 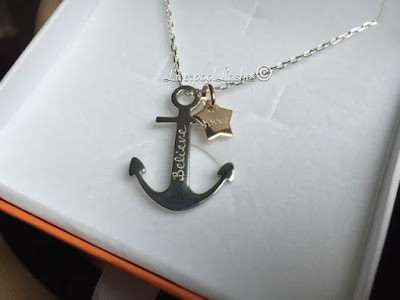 I adore everything nautical and I wanted a word engraved on it so I chose "believe" and since 2015 has been a life changing year for me, I chose to have it engraved in Roman numerals on the star. I did buy a necklace to mark my three stone loss but sadly that had a fault on it so it had to be returned for a refund so this almost replaces that. 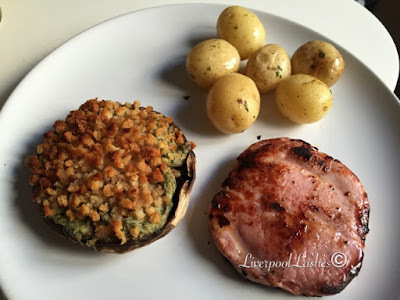 Due to the pressures I've put myself under this week, I've struggled massively with food. It's the self destruct button isn't it? You know you're so close to something, you know you can do it but instead you self sabotage. I know it makes no sense but it's definitely something a lot of people go through. 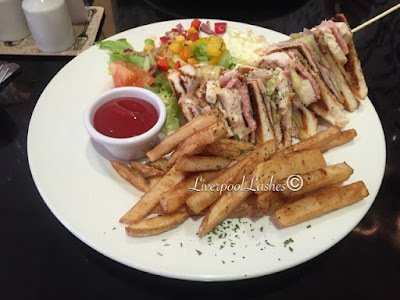 If you're someone who's struggled with their weight, have you ever just wanted to get a big pile of something and stuff your face? Sadly I never get the urge to stuff myself with a load of broccoli but I have found a fairly good alternative which is this Proper Corn popcorn in "Sweet & Salty." 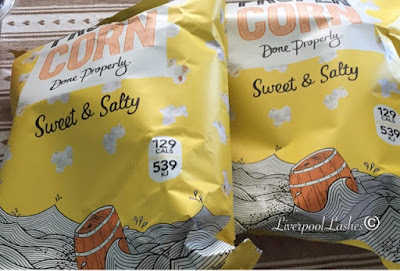 This popcorn is particularly delicious, I buy mine from Tesco and you can buy it in big share bags - half a bag is just under 200 calories or smaller bags where the sandwiches are. It's very satisfying. 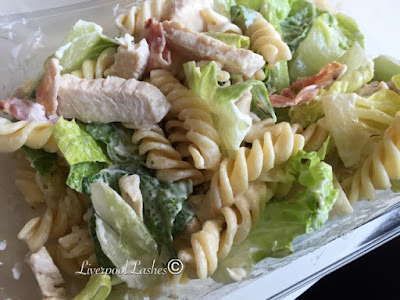 This week was not a good week, I was over on my calories most days, some days 100 calories, some days 300+ calories. The more I did that the worse I would worry about the weigh in but I tried not to regret what I'd eaten as that would make it easier to just give up and eat everything. As it happens we were invited to a house warming on Saturday night so I decided to bite the bullet and weigh in yesterday morning to see what was what. I may have said a naughty word when I realised I had lost just over 2lbs! I couldn't believe it and I still can't. I now do believe that I could probably get away with a few more calories than I've been allowing myself but I won't up them by too much. This of course means I have hit my four stone (56lbs) in twenty weeks goal. 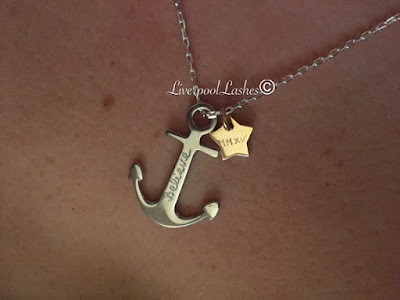 I'm waiting for all of this to sink in as it still hasn't but I immediately changed my necklace over to the anchor. I'll probably do little comparisons for you when I hit big milestones. 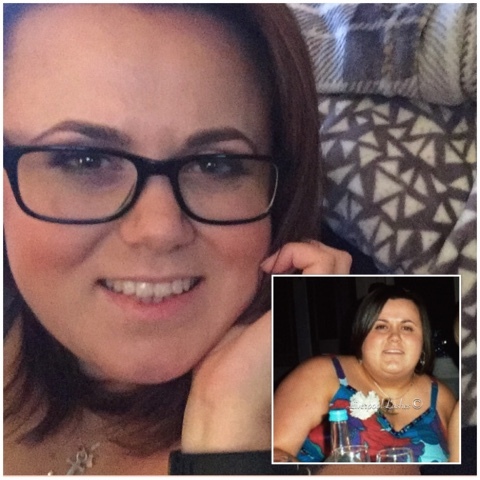 The photo on the left was taken shortly before any weight loss and it's terrible, I wish photos like this didn't exist - trust me. The photo in the right was taken last night when I may have had a gin or two, my hair and face is hilarious but that's me all over. When you look at the changes it really hits home where I'm up to now. I have three stone to go, I will do this - there's no other option. After having a month of L&P enhancements for my friend's CND beginners course, I couldn't get to my nail desk fast enough when they were removed yesterday to get back to my natural nails. Whilst pink and whites look pretty to a certain extent, they're just not me. I feel like a french looks very sweet and innocent so I've been craving some super dark and a little bit edgy on my nails. 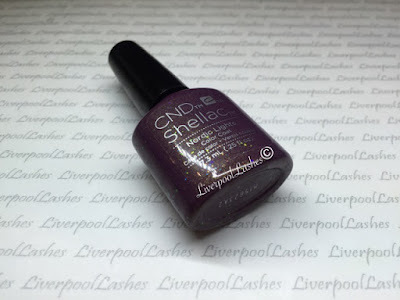 I decided on CND Shellac in Black Pool on all nails. I had this gorgeous silver holographic lined foil so I tapped some of that into the little finger. 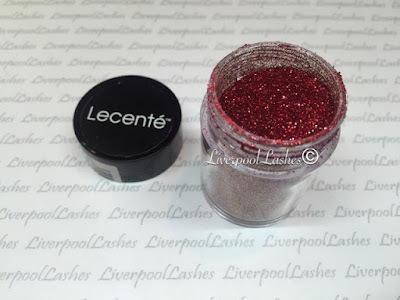 The glitter is from the new Lecente Fireworks Collection in the shade "Spark" that's due to be released on the 5th October at Olympia Beauty. I added a huge Swarovski Crystal to the centre of the glitter just for fun. I used the glitter in a glitter paste to also apply a little dot to the index and ring finger and paint the chevrons onto the thumb as well. It's been too long since I last did my nails. I have a feeling these won't last too long as I have so many nail designs to catch up on! Don't forget to follow my Facebook page for the latest updates! When I saw the new CND Aurora Collection I knew that Nordic Lights was going to be a huge hit. 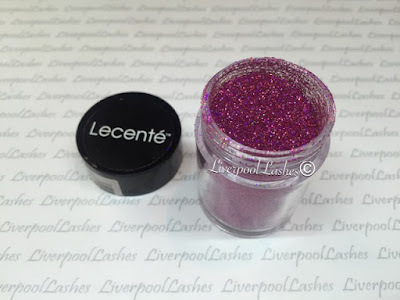 The sparkles it contains catch the light beautifully and I like that it has slightly bigger chunks of glitter in it as well, it just makes it such an interesting shade. The one thing is I've had a few clients wishing it was darker than it is straight out of the bottle so I've been pairing it with Plum Paisley and it's so beautiful that I decided to put this post together with a few shades that you may not think to put it with but they're absolutely beautiful. I think they all work really well and may possible surprise you. I was going to tell you my favourite but then I decided I genuinely like all of them! If you have any colour combinations with Nordic Lights, please let me know! 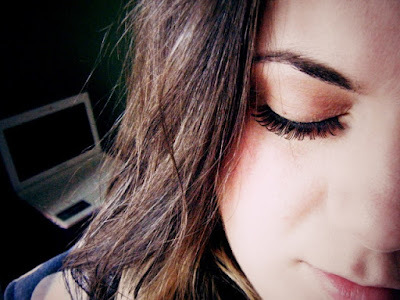 If you want to read more 'Focusing On' posts - click here. 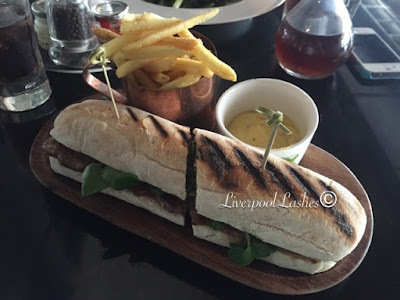 I'm writing this after a long day at Professional Beauty North so bear with me if this post makes no sense...! I've been on top form this week with my food. I did have a Toblerone overdose last Sunday but after that I was on it for the week. I've tried to cut back on sugary foods again and just rein it in. At four pounds away from four stone, I really can't afford to slip up if I want to hit that goal by my 20th week. I've eaten out a few times this week but that's okay, I've just worked out my calories so that I'm sensible for the rest of the day. It doesn't concern me when I do this anymore as I'm so used to knowing calorie values that I can roughly work it out and burn off anything with a long walk at the end of the day. I oddly have fat days. Officially I'm still fat so that's a hilarious statement in itself but what I mean is I have days that I feel big again, as big as I was and then I have slim days. I don't want to be that obsessed person and I know when I get to where I am going to be I will chill out but until then, I will keep pushing myself. 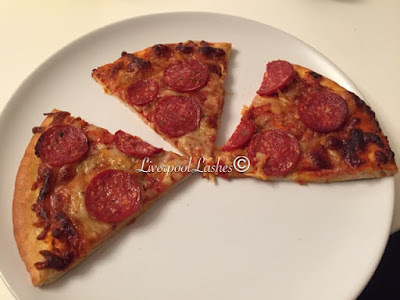 I haven't had proper pizza in over four months so I went mad this week and had some. It's amazing how I savour things that I used to inhale before. The odd thing is, I don't really crave having more of things like this anymore, it just makes a nice change. You may have noticed that I like to treat myself to little gifts now where as before I used to reward myself with food. 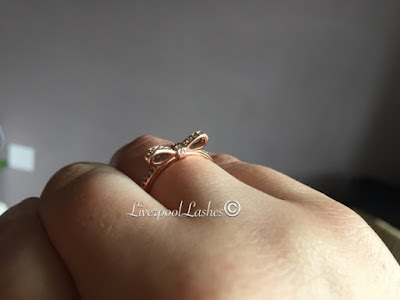 This week was a little more extravagant but I bought myself a Pandora Rose Gold Bow Ring. I love this ring so much! It's so pretty and delicate. 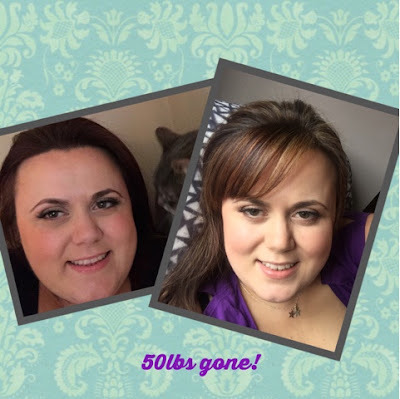 After all the love I received with yesterday's post, I've finally got the guts together to share my before and current photo with you that I put together when I hit 50lbs. I'm hoping you can see a difference?! The before is awful, I'm so embarrassed but this is was the old me, there's no point dwelling on it too much really but the big moon face isn't a good look. Yuck. So I'm 2lbs away from four stone now in 19 weeks. Wow this is almost unreal to me, my mind is completely blown. People say I should be proud of myself and honestly, I am. I know I got myself into this mess but you know what, I'm getting myself out of it and I'm doing it pretty fast. I'm determined to do the 2lbs this week, it's happening! I already have my goal present ready and waiting as of this week, wait until you see it! Hopefully you'll see it in next week's post! Wow I'm actually shaking typing this post. 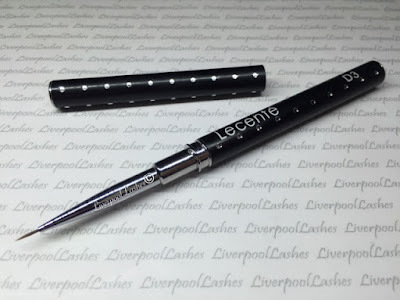 When I started LiverpoolLashes back in April 2010 I never knew what it would become or that it would take me from a call centre worker to a nail technician, beauty therapist and hairdresser. The one thing I was certain of was that I would never appear in a video and I chose to have my logo so that I was virtually unrecognisable. I never wanted anyone to feel like I wasn't a real person by keeping myself virtually anonymous but I was very uncomfortable with who I was as a person and I've always felt if anyone met me that they would be disappointed, I probably wouldn't live up to expectation. Over the years I've felt a lot of guilt that I haven't been as open about who I am but if you struggle to like yourself then you can't really expect anyone else to. If you've followed me for a while you'll know that I've recently lost a lot of weight and I'm finally becoming the person I felt like I was on the inside, I believe in myself a little more although I'm only half way to where I want to be. 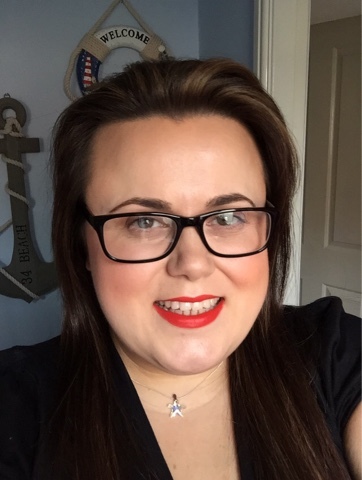 That aside, I've thought long and hard about this and as since I'm going to Professional Beauty North tomorrow with some fellow nail technicians, I figured that if I post a photo of me and you happen to see me - I can say hello to you. Honestly, I would only think that perhaps one or two of you might want to but I'm giving you the option by posting this photo as it's the only way I could think of doing it. This is a shameless selfie that I took recently but it's nice and clear hopefully! If you're not going tomorrow then at least you can put a face to the name or something perhaps?! If you do want to come and say hello and you see me, please do! I'd love to meet you. The place is going to be utter chaos and I'm mentally preparing for how busy it's going to be so obviously I can't really make an actual meeting place. I'm a little quirky let's say but I tell myself that that's a good thing. I'm off to go and pat myself on the back as another accomplishment for this year as there's no way I ever thought I'd be doing this, my friends and family will be really shocked but I don't want to hide anymore. If you want to meet me, I want to meet you! 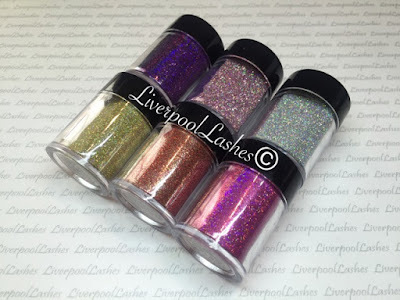 My badge will say 'LiverpoolLashes' on it as well. I'm late on the Lecente nail art brush bandwagon, purely for the fact that I have tons of different brushes that I've collected over the past few years. That aside, I decided to pick up their D3 brush when I was last at Creative Academy+ Manchester and give it a whirl. Let's start off with the packaging, with the matte black finish complete with tiny sparkles, this brush needs its own display stand. It's feels like it's really good quality, unlike some that I have in my stash. The lid is fantastic at protecting the delicate bristles too. In terms of the performance - you know - the important bit - it's really easy to control. I threw together these colour pops to show you what is possible. With light strokes you can get some fairly tiny lines. It also cleans very well after each use, I mention this as the bristles on some of my brushes have distorted after a few uses so it's definitely important. I really am impressed with this brush. 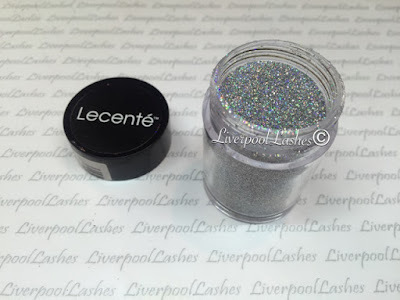 In terms of price you would need to contact their UK distributor - Sweet Squared or if you're outside of the UK, Lecente.com for details but I would definitely say that it's priced perfectly. I think a good measurement of how much I like it is if I lost it, whether I would repurchase it and I definitely would! This is one to check out for sure! 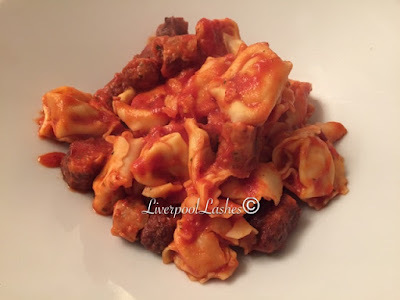 Don't forget to follow my facebook page for the latest updates, reviews and tutorials. For so many reasons, this has been a difficult week, both personally and professionally because I've been so busy. I've spent the week confused, I literally can't get my head around the weight I've lost. Honestly, towards the end of last week and the start of this week I feel like I spent it in a daze, this is so surreal for me. Obviously it's amazing but it doesn't feel real at all. I'm convinced that any minute someone is going to pop up and steal it all away from me. Every time I see someone now I get gasps and congratulations with people calling me "skinny" (I'm not by far - trust me!) and it feels like it's not really happening to me. I touch my shoulders and my face and I can feel the bones underneath which I literally couldn't do before. One of my clients noticed the shape I now have to my back, it's smooth and defined. This week I shared some before and current photos of me with my friends and family and the response I got was unbelievable. The comments I received and private messages saying things like they showed their mum my photos and she could hardly believe it is the same person. In time I hope to share those photos with you but right now I don't feel like I'm ready to put them up online. It's so embarrassing that allowed myself to look like that but I have to accept that that is my past. 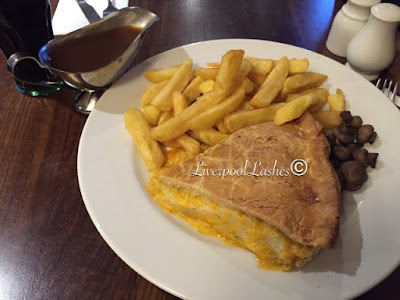 I've been out for a couple of meals this week and I literally just picked what I fancied. Now that I'm over half way I don't want to slack as that will delay this process but I do want to allow myself a little more choice. I feel like without that I may not be able to see the full process through. I hope to be finished with this by the end of January, that would mean I would have lost 7 stone (98lbs) in ten months. My heart says I can do it, I'm a determined person and anything I want I typically will make happen - it's just whether my head wants to cooperate. Now that I'm slimming down i'm finding bizarre attention from strangers. I'm a married woman but I feel eyes on me and look over and there's a man looking at me in the supermarket, things like that. I've even had wolf whistles when I've been out walking, how embarassing. It's almost hilarious to me and very odd. I was definitely invisible when I was at my highest weight, in general by others. Unless you've suffered yourself, you'll never really understand what an addiction to food is. I don't mean that you have five Oreos instead of two, I'm talking when there's literally a voice inside your head that's telling you that there's a pack of Oreos in the kitchen and you need to finish them off immediately. This is actually what used to happen to me. Obviously it was my imagination but it would keep repeating it until I caved in. Perhaps it's just greed or a lack of self control some might say, I can't answer that, I can only tell you that there was and probably still is a faulty switch in my head that means I'll cram food in whether I'm full or not. It's not easy to talk about all of this, I'd rather portray a petite, perfect lady who has an amazingly toned figure but if you're someone like me and you realize that you're not alone then my work is done. On Monday I went clothes shopping, I didn't intend to buy very many things, just a few bits to tide me over as many of my clothes are now starting to look far too oversized for my new frame. Now I'll tell you this, I was probably a UK size 22 or even a 24 and in some cases - a 26 - so needless to say I struggled to get clothes that were remotely age appropriate which of course, was my own doing. It's hard to flatter such a figure as you can either go bigger and hide your rolls or go tighter and show your rolls off - neither in my opinion is very good. I'm now roughly a UK size 18 for quite a few things. When I walked into New Look it was like an out of body experience as I didn't have to head to their Inspire range (plus size line) and I wandered around the entire shop like a "normal person" - you have no idea how good that felt. I've not done that in so long that it just felt so odd to me and just added to the huge amount of confusion I feel over my size. I'm not entirely sure when this is going to click that I'm not that huge person I used to be anymore, yes I'm still overweight by far but I'm working on it. I literally managed less than half of this! After a conversation about food addiction with a friend on Tuesday and various other friends, I did feel like I've cracked it. I was saying that I no longer feel that urge to go and stuff my face but unfortunately, I feel like towards the end of this week it's started to creep back. I don't want to dwell on this too much because I hope that this was more an emotional blip but these posts shall always be completely honest. I did cave and overeat by a couple of hundred calories on the days leading up to the weigh in today which was getting me more upset and nervous for today's result. So onto today's weigh in which I was completely dreading but knew I had to go through to continue to where I want to be. So I lost 2lbs this week bringing me to a total of 3 stone 10lbs (52lbs) in 18 weeks. Honestly, this was a lucky escape for me, I feel like I was let off lightly. I knew that once I'd gotten over this hurdle, I could then start fresh and that's what I hope to do. Next Sunday I shall be at Professional Beauty North so I plan to weigh in on Saturday instead but I'm hoping to get closer to my four stone goal, after all I'm only 5lbs away from it now! 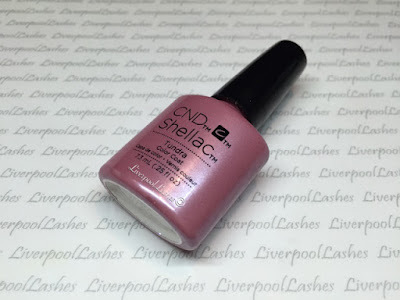 One thing I like about what I do is that I'm independent, because I'm not brand associated I will happily tell you what I think, firstly being when I first saw CND Shellac in Tundra I wasn't a fan. I think it's because from the photographs I'd seen it seemed like a relative of Strawberry Smoothie which doesn't get much affection from my clients. 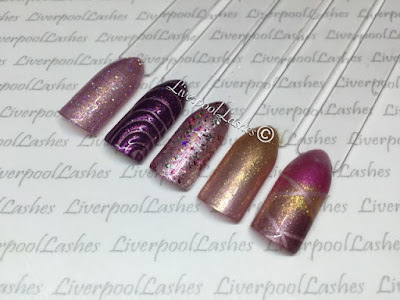 When I went up the Creative Academy+ Manchester to see the new collection before the release I realised how gorgeous this shade is and wanted to put a couple of ideas together for it. Lecente Baby Blue Iridescent Glitter. 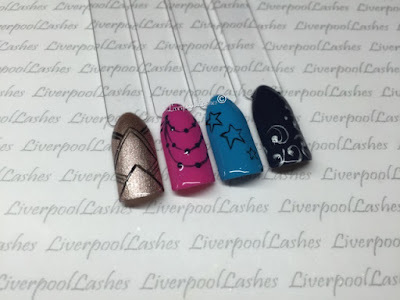 Rock Royalty carved and cured with a layer of Lecente Stardust glitter in Cluster. Tiny pieces of hot pink and silver holographic foil. CND Additive in Gilded Gleam fade. Striping tape in a random pattern and then four CND Additives over it, Plum Love, Blue Heaven, Gilded Gleam and Haute Pink. I really like how all of these turned out. 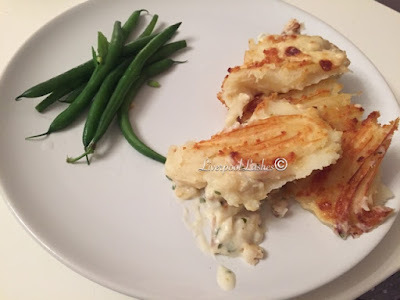 I hope you enjoyed this little post! I shall do some more like this soon! Click here to see all of my previous 'Focusing On' posts. Don't forget to follow my Facebook Page to keep up to date with my latest videos, tutorials and reviews. After a huge 4lb loss last week, I feel like I've spent this week on a high. As I have lost so much, particularly in this past four weeks I've lost a total of 12lb that I did tell myself that as long as I lost something this week I would be happy but as I was only a single pound off the next stone bracket, I was secretly hoping to smash that. All of a sudden I can cross my legs again, I'm not really a "cross my legs" kinda gal but previously the tops of my thighs had been stopping me from getting the other one up and over. See? I told you they were embarrassing but it's the truth! I no longer analyse a chair to see if it will take my weight. This is something I have done for so many years that I barely notice I did it but I don't bother now as I know I'm smaller, I also don't need to consider the width of a chair either. My ear lobes don't stick out. This is another odd but mortifying one. It had been brought to my attention that effectively I had ear lobes that stuck out and I just figured it was how I am. Now I have lost so much weight they just hang like normal people's lobes because the fat in my cheeks don't push them out anyway. I actually can't believe I'm writing this but... This is my weight loss diary effectively and this is my truth. I don't have to struggle to take a good selfie. Now this isn't a vain one like it sounds but previously I would have to take the photo at a really high up angle to try and flatter my huge moon face. Now I don't, if I do it lower down my face still looks slim but I have a little extra chin at the moment which I'm fine with for now! I walk with my head up. I should have always walked with my head up but now I do and no longer staring at the floor. I actually feel taller as a part of that. I can look at myself in the mirror. I have grown so used to purposely not looking at reflections below my neck line because what I don't see won't upset me but then if I had I may not have gotten into the state I got in. It was only yesterday that I realised I can look into a full length mirror. I don't have one of these in my home however I do in my home salon for hairdressing and I was almost shocked at the results that I saw. Clothes are literally falling off me. It's sort of sad to see that some of my favourite clothes are too big now, it's okay as they represent an old me but it's a shame too. I'm also finding things that I have that were snug or didn't really even fit are fitting me which is fantastic. The distance I can walk now is incredible. When I say I was unfit, I'm talking really severely out of shape. I could probably manage a ten minute stroll and then my back and legs would seize up. Now I've built myself up to do anything up to an hour and a half on my treadmill or evening walk and I know I could do longer without struggling at all or even being the slightest bit puffed. The energy I have is unreal, it really is. I can see collarbones! Only ever so slightly when I'm just stood straight. It's nice to see a bit of definition and I'm sure more to come. I can catch a glimpse of them sometimes and it shocks me as I haven't seen them in so long. 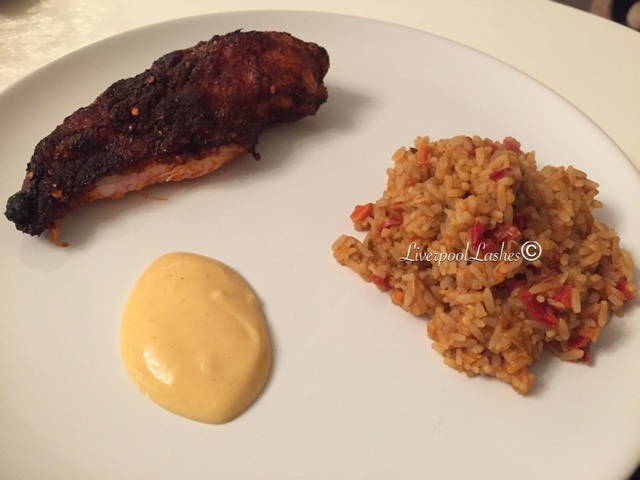 This is actually my version of Nandos..! So let's get into the weigh in as this week was a big one. Last week I was one pound away from the next stone bracket down. This stone bracket was particularly significant as I'm now getting into a more regular persons weight. It's still heavy for my height but it's like I'm joining the world again with close to a more average size. I shall always tell the truth, I did a sneaky weigh in on Thursday and I had lost the weight I needed to be in the stone bracket below, I was completely ecstatic. For the next hour I actually just sat on my sofa in shock, and then the tears started as I sobbed at what I've achieved in just over four months. Fast forward to today for the actual weigh in and I just cant believe it, I've lost another 4lbs in total! It's actually 4lbs and a quarter but I'll count that off next weeks amount. I absolutely didn't expect to have two weeks running with such a big loss which was just the icing on the low calorie cake(!) 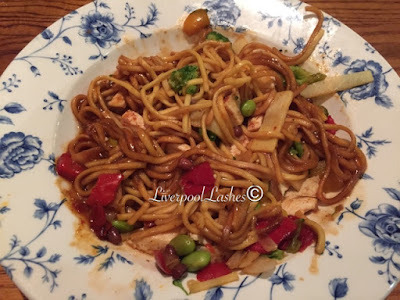 This 4lb loss brings me to a total of 3 stone 8lbs lost (50lbs!) At this point I have dropped around 3 or 4 dress sizes, it's hard to tell with different brands and styles but I can definitely fit some clothes that are four sizes smaller. I am also officially half way to where I am going to be, that's such an exciting milestone to me. 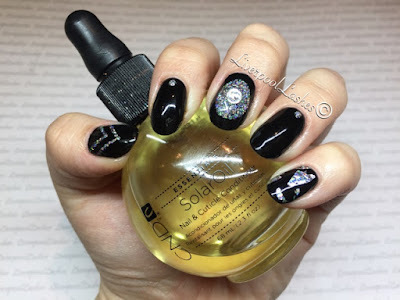 My clients comment virtually every time they see me, they say I look so small at my nail desk. My side profile is pretty decent now as well, wider than I want to be but that's okay. Next week I definitely don't expect a big loss but I'm excited to get going with it! If you want to lose weight, read this and believe you can do it like I am doing.